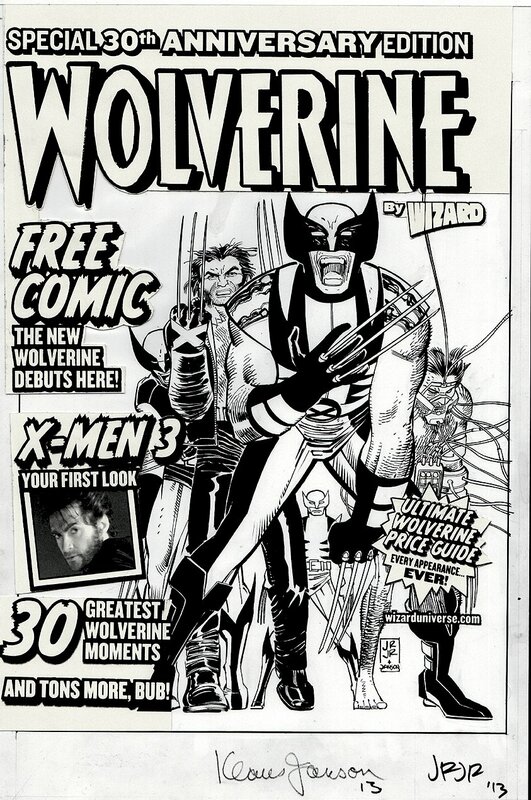 Click Here To See Wolverine Cover With Acetate Lifted Up! Click Here To See Wizard Special 30th Anniversary Edition Magazine! 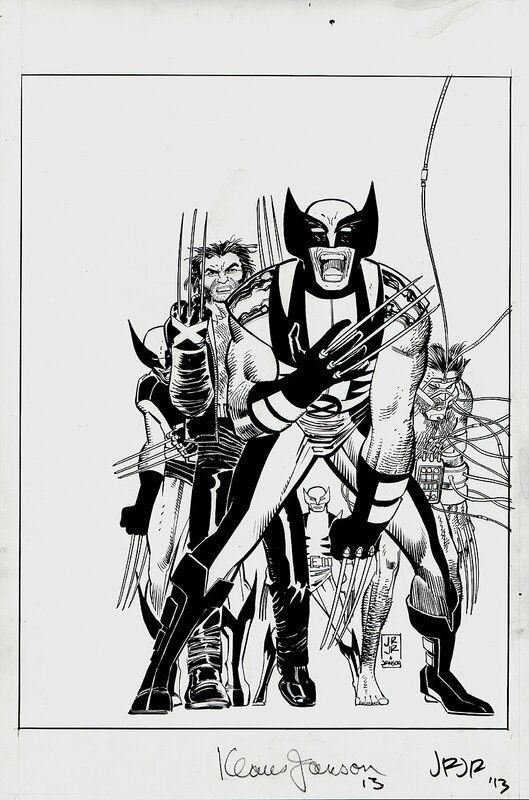 Check out this very nice cover, which was penciled by the great John Romita Jr., and inked by the great Klaus Janson. 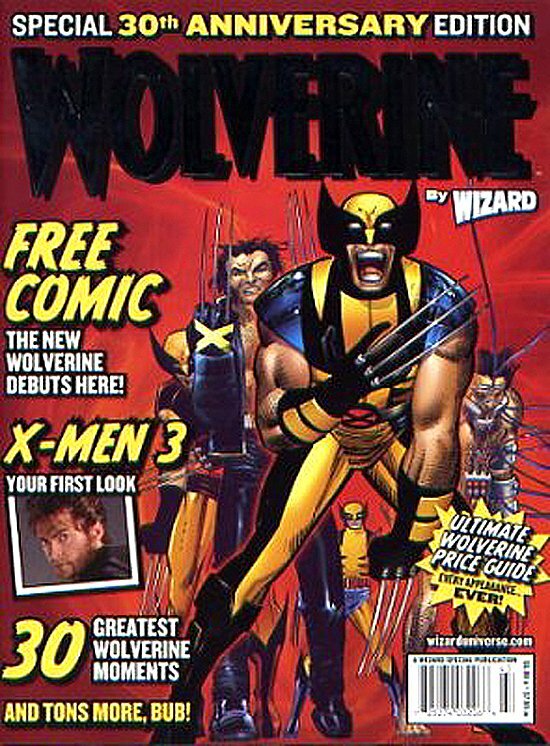 This AWESOME cover features ALL 5 variations of Wolverine since he was first created back in 1974! Just a great published cover! All logo and word bubbles were created on an acetate overlay and this can be lifted up to show all of the glorious art separately. Both artists signed this great cover art at the bottom in 2013 at a Comic-Con. Compare this nice cover art to the published comic book in the red link above! ALL art on our website (including this one) are able to be purchased with VERY fair time payments, and trades are always considered towards "ANY" art on our website! Just send us an email to mikeburkey@aol.com and we can try to work something out.